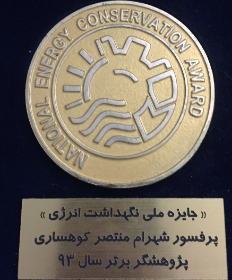 We deliver a high-quality service to an extensive client base, drawing on a close collaboration with our academic colleagues in the Amirkabir University of Technology (AUT) Electrical&Electronics Power System (EEPS) Group. Sadeghi, S.H.H. 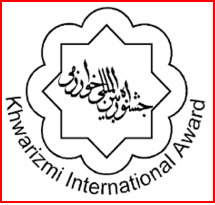 Kouhsari, S.M. Der Minassians, A, �The effects of transformers phase-shifts on harmonic penetration calculation in a steel mill plant�, Ninth International Conference on Harmonics and Quality of Power, Volume 3, 2000. Proceedings. Pages 868-873. 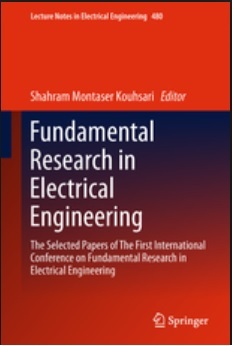 S. M. Kouhsari, A. Kalantari, �Decentralized Simulation of Large-Scale Electrical Networks�, in: Proceedings of the IFAC Symposium on Power Plants and Power System Control 2003, Seoul, Korea, September 15-18, 2003. A. Kalantari, S. M. Kouhsari, H. Rastegar, �Piecewise Fast Decoupled Load Flow Using Large Change Sensitivity�, in: Proceedings of the 2003 IEEE PES General Meeting, Toronto, Canada, 2003, pp. 957-961. B. Hashemi, S. Montasser-Kouhsari, G.B. Gharehpetian, �A New Approach for Modeling of Multiterminal DC System in Load Flow Programs� IFAC Symposium on Power Plants and Power Systems Control 2003, Sep. 15-18, 2003, Seoul, Korea. A. Yazdani, G.B. 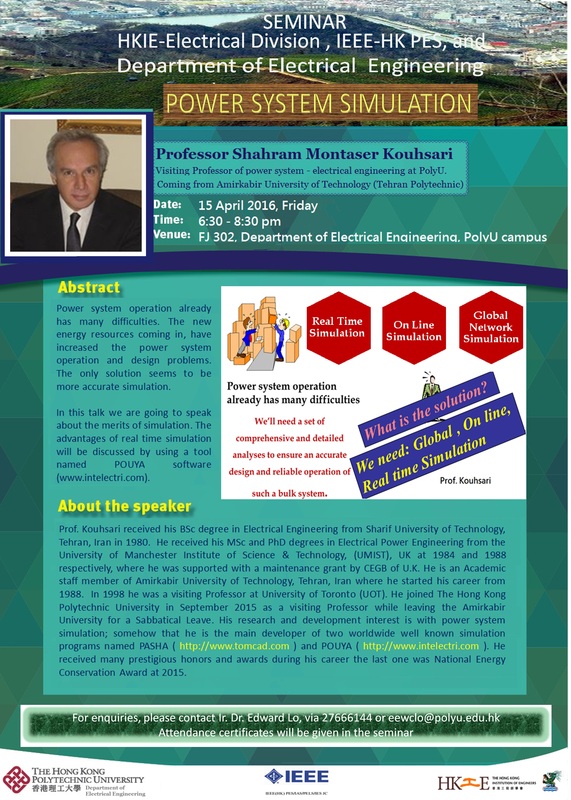 Gharehpetian, S. Montasser-Kouhsari, �A New Approach for Locating and Adjustment of Phase Shifters� IFAC Symposium on Power Plants and Power Systems Control 2003, Sep. 15-18, 2003, Seoul, Korea. S. Esmaeili Jafarabadi and S. M. Kouhsari, "A proposed method for processing unbalanced conditions and DC offset currents in transient stability analysis," in Proc. Power Thech. Conf., Lausanne Switzerland, July 2007. Press for details of seminar in Hong Kong at April 2016.